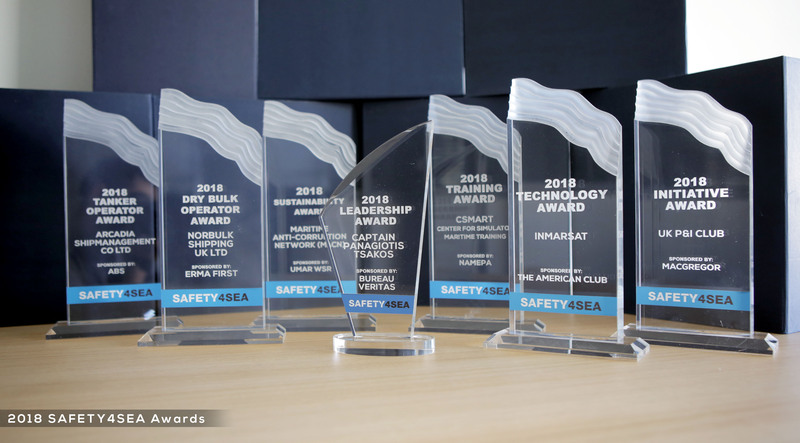 The winners of this year’s SAFETY4SEA Awards were announced at a prestigious ceremony which took place on Tuesday 2nd of October, 2018 at the Yacht Club of Greece. The awards focus exclusively on initiatives and individuals who foster Safety Excellence & Sustainable Shipping, following a combination of open nomination and audience-vote. For providing technical ship management services with added value and investing in people at sea and ashore to equip them with the skill and knowledge needed to address crew requirements and contribute to increased ship safety and improved marine operations. Recognizing the need for a safer industry, it is great to acknowledge the efforts of an operator who has placed safety culture on top. Norbulk Shipping has implemented outstanding safety initiatives which are vital for enhanced safety performance onboard and ashore and could set the example and inspire other operators to follow suit. This award, which Norbulk Shipping received alongside a number of other distinguished nominees, serves as a great opportunity to keep encouraging operators invest in their crew. Crew should have a self -developed, strong and focused safety culture; Norbulk Shipping not only has realized how important this is, but also has made it worth. All of the staff and crew at Norbulk Shipping are extremely proud and honored to not only have won such an important award but to have been nominated to begin with. It is particularly special to have been recognised for our dedication to creating and operating with such a strong safety culture which is such an important and core aspect to our everyday operations. We, and our industry as a whole, face multiple challenges in the current climate but our dedication to safety is always a priority no matter the hurdles and this is something for which everyone within our sector should be applauded. For providing safe and reliable transportation of oil by sea, through a modern fleet, with top priorities set on achieving excellence over safety, quality and environmental protection. Company’s dedicated human capital efforts have resulted to the achievement of top industry quality indicators. As the leading class society in Greece, ABS is proud of our extensive links with Greek ship owners and none more so than Arcadia Shipmanagement. Their philosophy and operational approach is in perfect harmony with ABS’ 150 year safety mission and we are delighted to be able to recognize their commitment to excellence with this award. I have been privileged to serve Arcadia for more than 15 years, and as a CEO/ Managing Director I feel we have achieved a great deal together as a team by carrying out our vision; a dynamic efficient and competitive Company that is able to provide the highest quality ship management service, committed to the protection of the environment, the prevention of injury and ill health, the security and safety of all employees both ashore and onboard ships. For working towards the vision of a maritime industry free of corruption that enables fair trade, creating a culture of integrity within the maritime community. The Maritime Anti-Corruption Network understands that our economic and technological growth often come at a cost. Ethical business practices are being tested and corruption is a major problem that costs trillions in bribes every year. It distorts competition, deters the free market and delays further development of social and economic growth. The answer to this centuries-old problem lies in developing corporate cultures with strong business values that understand that ethical behaviour and transparency actually add competitive advantages to organisations while enabling more trustworthy business relationships and lower costs. Corruption is a real threat to the people who work on our ships and it damages our business and reputation. Shipping is not alone in facing this enormous problem, a problem that is too-often excused as being too hard to solve – ‘it is the way things have always been done. However, in the fight against corruption the shipping industry has shown unparalleled leadership. The Maritime Anti-Corruption Network is now over 100 members strong. We have shown that shipping companies – working together – can be more effective in fighting corruption than any regulation or press expose. For meeting the changing needs and regulations as well as for providing high quality maritime training services for industry-wide safety, sustainability and operational excellence. Safety is the most critical link in the shipping chain, requiring continuous training using state of the art technology and tools. CSMART provides such an invaluable service to our industry, resulting in their receiving the 2018 Safety4Sea Award for training. Their work saves lives, saves the marine environment, and helps the maritime industry provide safe transportation services. Training becomes more and more important with ever-increasing operational complexity size of vessels, dense traffic and new technology. A seafarer must be adaptive to emerging risks and changing situations, and always needs to apply good and professional judgement. With our simulator training we support and optimize proficiency with a culture of continuous professional development. Our training methods and expert trainers strive to maximize learning experience and effectiveness, based on individual needs and by connecting theory and practice. For its ‘Fleet Safety’ which is a new generation maritime data service supporting and anticipating modernization of the Global Maritime Distress and Safety System, the public service for seafarers supported by Inmarsat since its inception. One of the main factors that contribute to maritime security and safety are the satellite-based technologies. INMARSAT is a pioneer in this field and has now a presence in more than 60 locations across every continent and provides through technology, global maritime distress and safety devices to ships, traditional voice calls, low-level data tracking systems, and high-speed Internet and other data services as well as distress and safety services which all contribute to the enhancement of the maritime safety. Inmarsat has been driving forward with Global Maritime Distress Safety System modernisation and Fleet Safety is our new generation technology supporting a step change in the capability of this public service for seafarers. 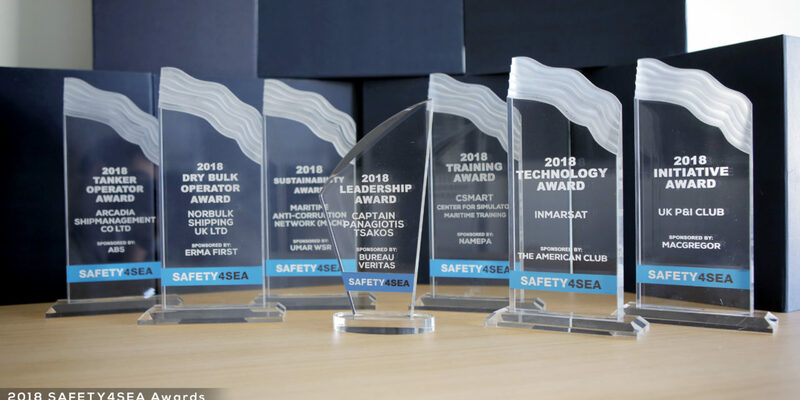 In May 2018, Inmarsat secured approvals from the Maritime Safety Committee confirming that Fleet Safety meets mandatory performance standards for GMDSS set by the IMO. For its strong commitment to the well-being of crew, operating for 22 years a Crew Health/PEME Program and further inspiring several other Clubs to follow this initiative in creating their own crew health programs. UK P&I Club Crew Health Program consists of pre-examination of both physical and mental health of the crew, turning a wishful thinking into positive action. Selecting the right crew is about qualifications and experience but also aptitude and personality. Congratulations to UK P&I Club for their initiative and safety culture preventing accidents and personal injuries onboard. Crew illness claims are consistently among the largest category of P&I claim in terms of both frequency and cost and the core purpose of the PEME programme is therefore to assist participating ship managers in reducing the incidence of claims caused by pre-existing disease or other medical disorders. The UK Club’s programme is highly developed and now provides participating members seafarers with access to a large network of accredited clinics which are held accountable to both the Club and the member. For devoting most of his time in his own people – the seafarers – attracting and maximizing human (male & female) potential and enhancing advancement of talented and committed associates both onboard and ashore. Within this context he visualized and created The Maria Tsakos Foundation- International Centre of Maritime Research and Tradition, aiming to promote social acknowledgement of the maritime profession and further enhance its growth potential in the generations to come. I feel extremely honored to present the Leadership Award to Captain Panagiotis Tsakos, a distinguished business man but above all, a man of the sea. Some of the main milestones of the “Tsakos Group” are its commitment to the Hellenic nautical traditions, embracement of innovation, devotion to team-work and priority to safety for the general benefit of the humanity & the environment. Notification procedure is initiated few months ahead of the event with an open invitation to the industry stakeholders to propose nominations online via relevant form at dedicated awards page. Shortlisted nominees are announced within a week after nomination submission is concluded and open vote to declare the winner of each category is available for a period of three months through relevant application at dedicated awards page. 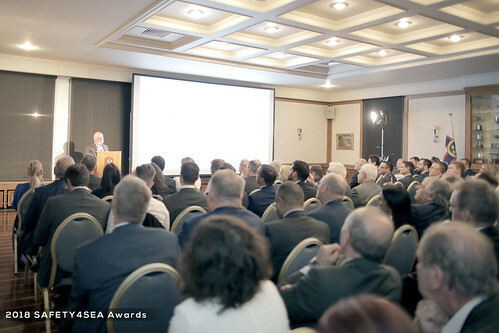 Winners are announced during the welcome reception & award ceremony, the evening ahead of the SAFETY4SEA Conference, in Athens.